American pop punk Grayscale have released new cool single “Atlantic” music video. 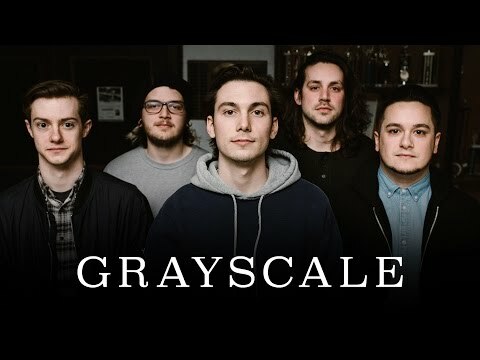 Grayscale’s new album coming soon via Fearless Records! Since forming in 2011, when its band members were only in high school, the Philadelphia-based quintet-composed of vocalist Collin Walsh, guitarist/vocalist Dallas Molster, guitarist Andrew Kyne, bassist Nick Ventimiglia and drummer Nick Veno-has emerged quickly from the Philadelphia punk scene, establishing a solid fan base and sharing stages with the likes of Cute Is What We Aim For, Knuckle Puck, Neck Deep, Seaway, and more. Through their unbarred emotion and unique blend of alternative rock and punk roots, Grayscale has honed their talent of constructing strong hooks, relatable lyrics and catchy riffs, all the while coming into their own distinguished sound. “Atlantic” sees the band expand their sonic palette, further illuminating their skill of creating well-narrated stories driven by vibrant recollections, palpable emotion and flourishing melodies.